Well, my friends. Laini Taylor has hit it out of the park yet again with her sequel to Daughter of Smoke and Bone, and partnering yet again with incomparable audio narrator Khristine Hvam, I am simultaneously thrilled and pained that the wait has now begun for the final book. Picking right up where Daughter of Smoke and Bone left off, this fast-paced and emotional book will not disappoint, as second books in trilogies sometimes can. Instead, Taylor sparkles with wit and depth, continuing the intelligent, wistful, and adventurous tale of Kerou, the heartbroken chimera. Left alone and considered a traitor, Kerou is still dealing with her conflicted feelings for Akiva, the seraphim angel. And although she is completely dedicated to her chimera people, and her wonderfully loyal and hilarious friends Zuzana and Mick (loved them! ), Kerou doubts the leader of her chimera people, Thiago, and his motives. Final chapters leave the listener reeling, shocked by events, and breathless for the final book. That is all I can say about this stunning Young Adult fantasy tale of angels and monsters, good versus evil, love and heartache, loyalty and betrayal. 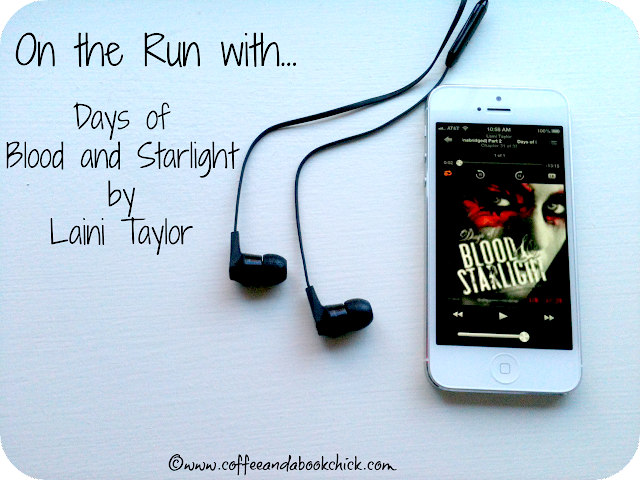 Laini Taylor keeps the fierce momentum going in Days of Blood and Starlight, powering through to the final emotional scenes, that ultimately leave you determined for more. Well done yet again, Ms. Taylor! 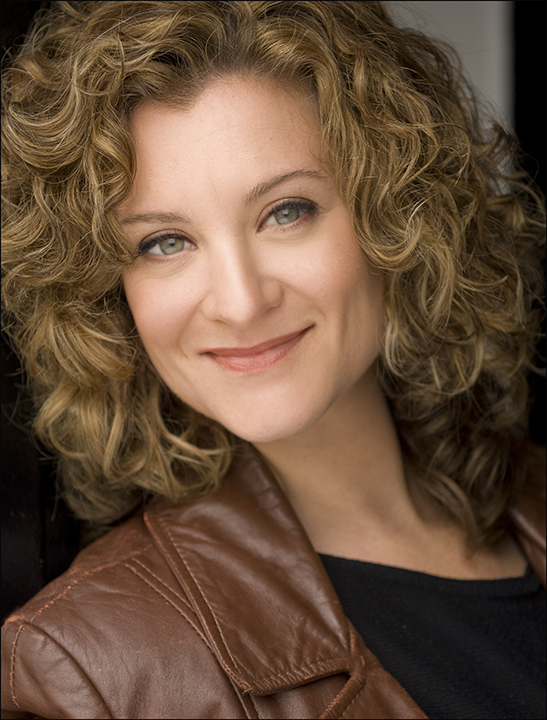 Audio Notes: Khristine Hvam returns to book two, thank goodness, and is a theatrical genius. I enjoyed her brilliant narration for all characters. Each is distinct and memorable. Click here to listen to a sample. Parental Notes: While the books are for an older young adult crowd, bear in mind that while it should be expected that there are battle-worthy moments of sword fighting and more, this one has moved a little more into scenes with consensual s3x, but also attempted s3xual assault. These are tougher to read/hear than the previous story. Make sure you have a conversation with your young reader to see if they have any questions. Laini Taylor is the author of 3 novels including the Dreamdark books. She was also a finalist for the National Book Awards for Lips Touch: Three Times. She lives in Oregon with her husband and daughter. Khristine Hvam is a successful narrator with an established history of performances ranging from commercials for radio, tv, and film, documentaries, video games, audiobooks, and more. For a list of audiobooks available on Audible.com, click here. I have the first book, but not the second, and I am a little overwhelmed by the hype. Only a small fraction of people seemed to dislike the first one, and I am eager to get started. It sounds like this one is wondrous as well. I might have to go for the audio on this one. Nice job today, Natalie!! Awesome review. I have book one on audio and need to get to it. Aaaaah, must get! I've heard nothing but raves but in this case, I refuse to think it is all over hype -- I need to read them, and stat! Everyone is loving this one. I still haven't read The Daughter of Smoke and Bone - I'm so far behind! I need to check this trilogy out. I like that the audio is good since I have just recently began listening to audiobooks on my long commute. You are tempting me with this series! I have the first two books in this series, I have to get going on it. I've loved the covers of both of these books and keep hearing good things. Maybe I need to add them to my audio book list so that I have a better chance of getting to them sometime this decade. I've been listening to more audio books lately just to take advantage of my work drive time and get more reading in. Back to report that you got me hooked! I read both book 1 and 2 while on vacation. And they were awesome.